Have you ever lost your files? Crashing hard drives and accidental deletions teach us that there are two kinds of people: those who backup their files and those that will start to backup their files. 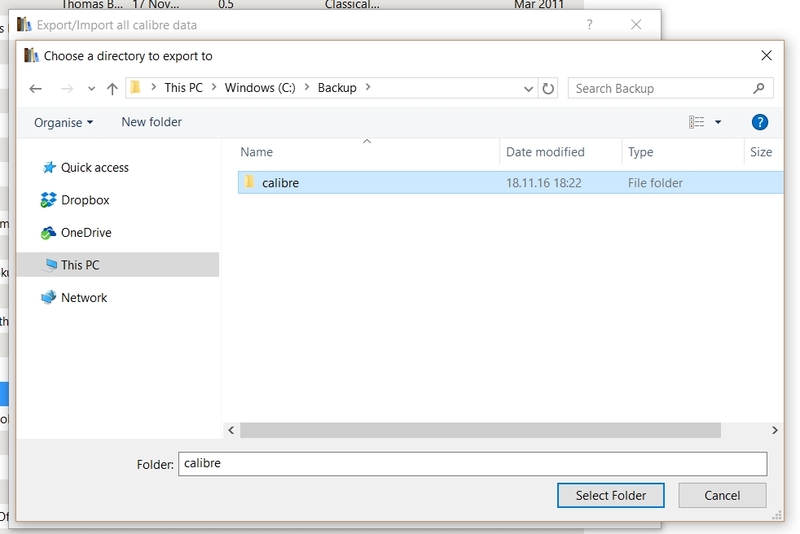 Thankfully, calibre comes with tools to do just that – quickly and easily. That way you won’t lose your collection the next time your laptop crashes. First, click on the “[your library name]” button on the main screen and select “Export/Import all calibre data”. 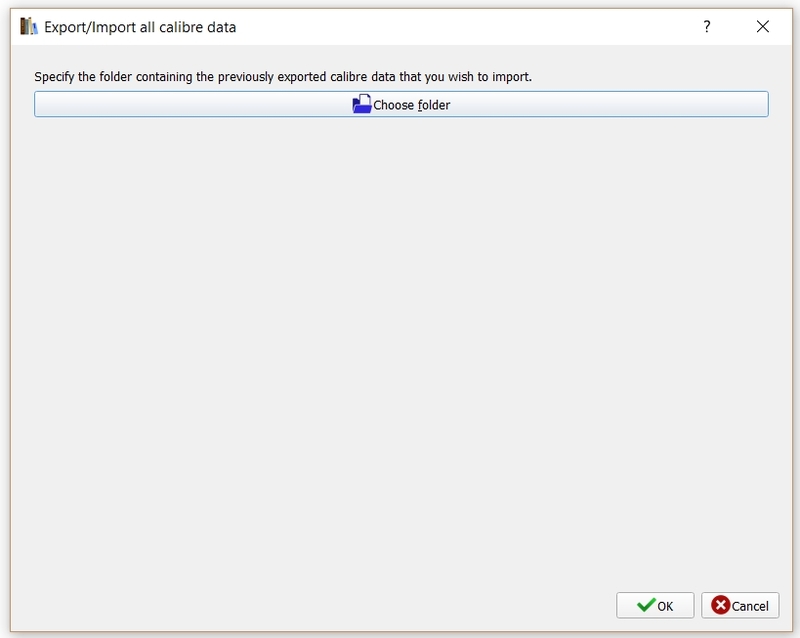 Then, choose “Export all your calibre data”. 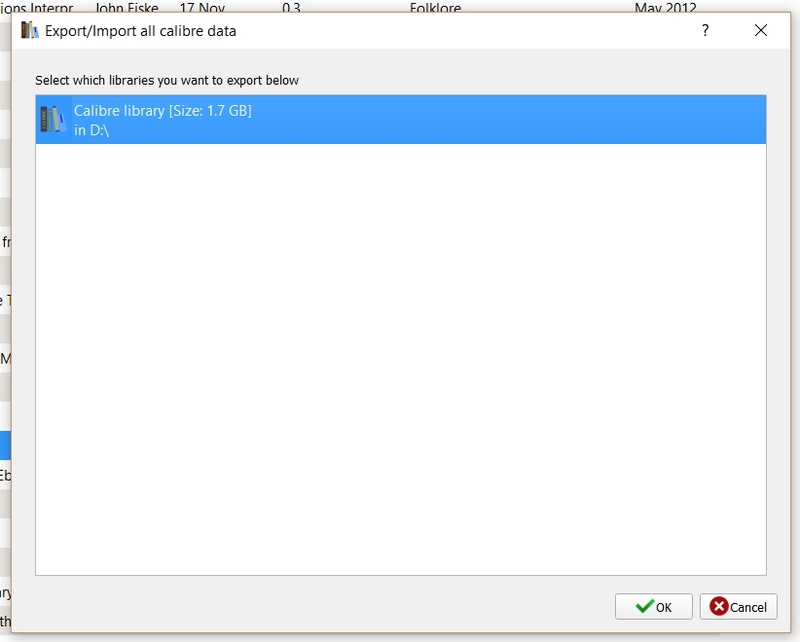 In the dialog box select the library you want to export and click “OK”. Finally, select the folder where you want to save your backup in. This process will create a series of 1 GB-large files with your whole library. You can then save it on a backup drive, burn them to DVDs or just stash them away somewhere safe. First, go to “Calibre library > Export/Import all calibre data” once again. This time select “Import previously exported data”. Then, find the source folder of your backup. And finally, specify where to save it. 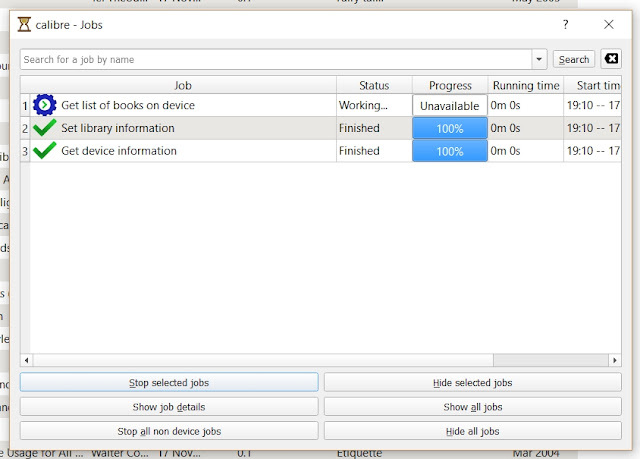 On the next screen select the new path for your library and click the option to “Move current library to new location”. Finally, confirm by clicking “OK”. Now your library is in the new location! If you want to access your library from any location and keep an additional backup, but for some reason do not want to use calibre’s server option, you can add your library to the cloud service you use (e.g. Dropbox or OneDrive). To do this, you must either move your library to your cloud service location on your device (e.g. your Dropbox folder) or add the library’s folder to be synced in the cloud’s settings. Just remember that if you do that, the cloud service provider will have access to your library. Note that there are also some 3rd party tools to help calibre and cloud services cooperate. Important note: using cloud services with calibre is risky and may lead to data loss. It is known that Google Drive is not compatible with calibre. Use those services at your own risk and always make a backup. To minimize this risk, synchronize your library with only one cloud service and only when calibre is turned off. Read more in the manual. So, there you have it – the basics of staying safe with calibre. Are you tired of spending so much time looking for your eBooks on an ugly Amazon page? Did you download an eBook from another website, but it’s an epub and you can’t easily send it to your Kindle? Well, let me help you with that. Kindle devices are incredibly popular and sometimes they’re used to back up arguments that paperbacks are dead. You can fill them with eBooks in an impressive pace. eBooks are everywhere: on Amazon and in hundreds of other stores, you can also find millions of free ones online. When you do, you might find it hard to get them on your device. Kindles are very particular when it comes to file formats. There’s this powerful tool called calibre. It can manage all your eBooks, no matter where they came from and help you select the ones that will get on your device. With it, you can track which books you read and which ones you liked. It can download covers and metadata or compile a series of novels. 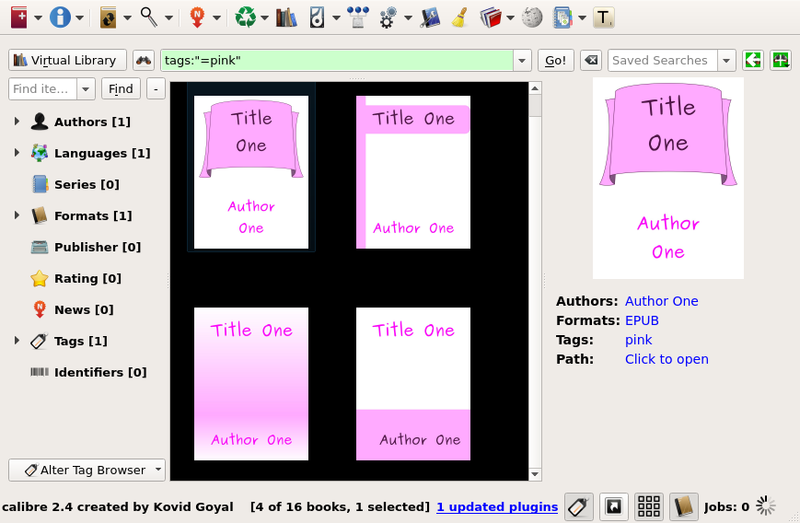 It can also convert books from one format to another and even make your personal documents into eBooks. Kindle applications just don’t measure up to what calibre is capable of. You open calibre and plug your Kindle with USB for the first time. 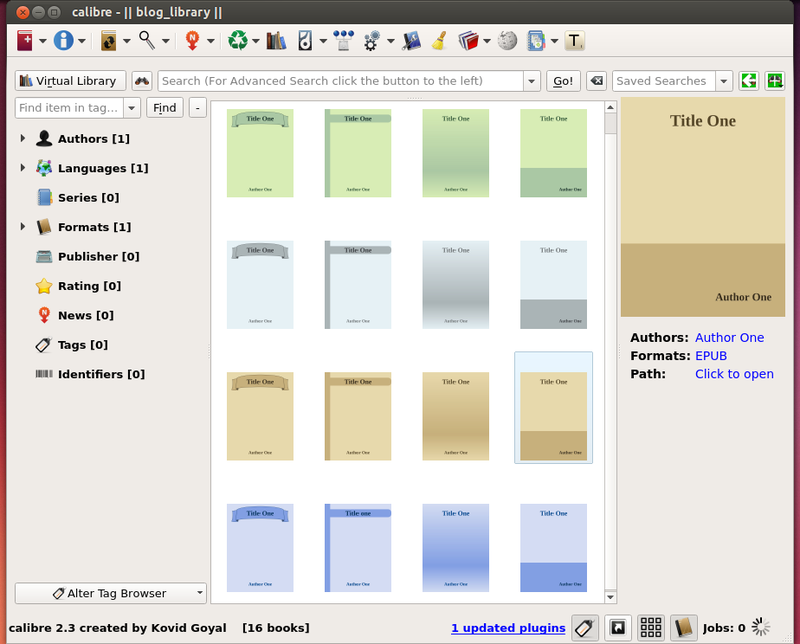 The program will scan its contents and create a file with metadata – this will allow you to control what eBooks from your library are on the device and vice versa. 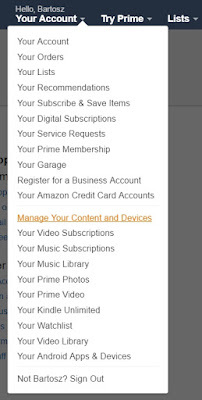 First, log in to your Amazon account. Then, choose “Manage Your Content and Devices” from the “My Account” tab. Finally, click “Download & transfer via USB” from under the “Actions” button. You will be prompted to select which device you’ll read this eBook on. This question pops up because of the DRM protection Amazon puts on eBooks they sell. To add the files, you just downloaded, to your calibre library, just drag-and-drop them to the calibre’s main window. Sending content from your calibre library to your Kindle is much easier. We’ll get to that in a bit. Let’s say you downloaded an eBook from somewhere on the Internet (say, The Gutenberg Project). But it turns out it’s in a different format than mobi or azw. Most likely, epub. 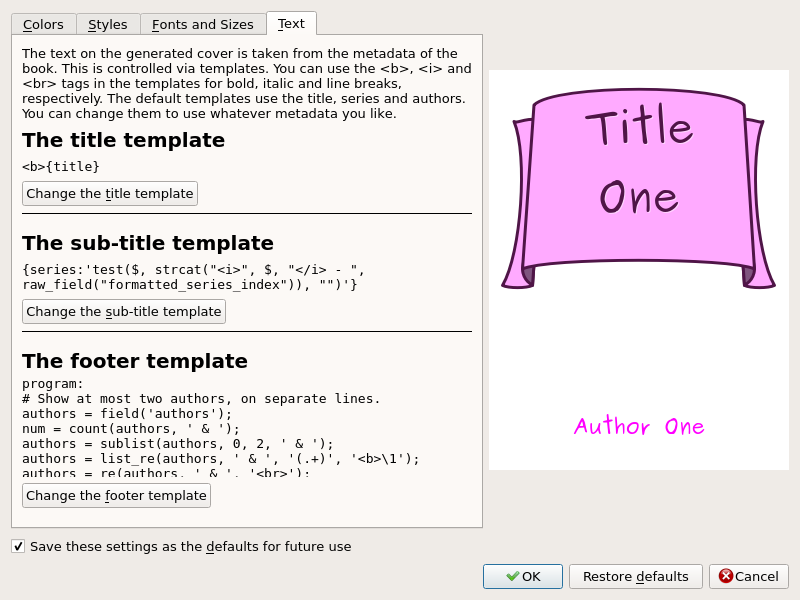 Epub is the most popular eBook format and most eReaders support it because it’s open-source. Kindle devices, however, do not. Amazon uses its own two file formats: the older, mobi and the newer, azw (also: azw3). Both are Amazon’s property but offer a wider selection of options (e.g. 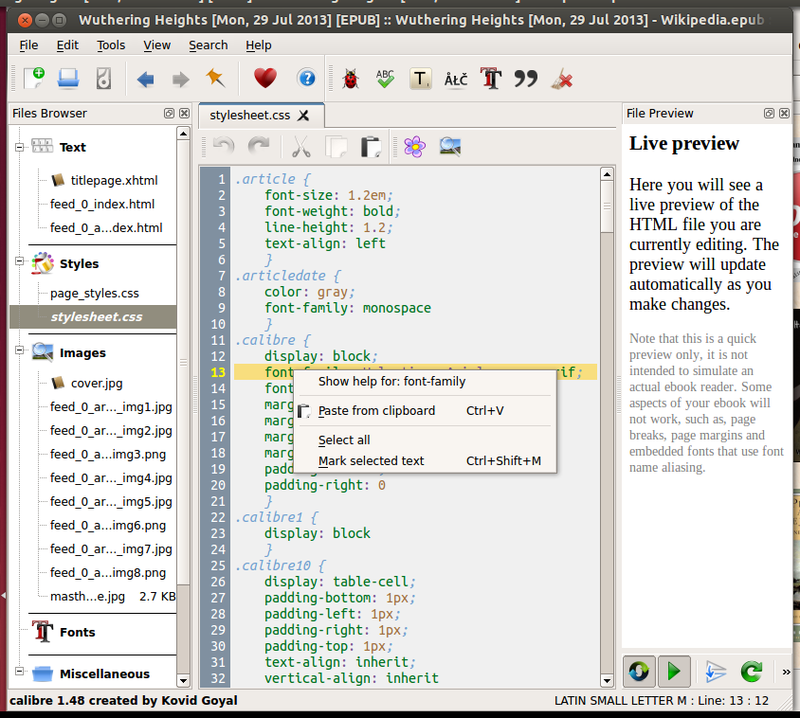 adding a built-in dictionary or support for annotations and comments). 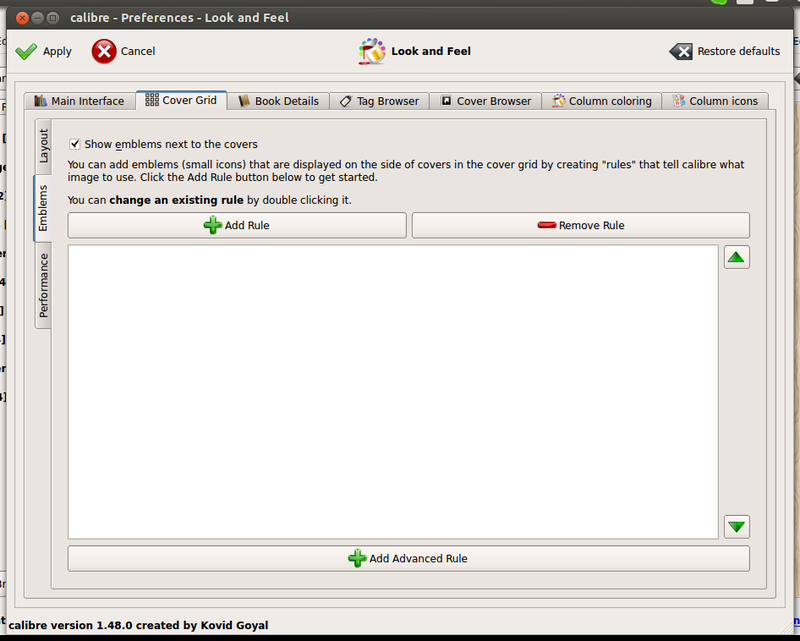 The azw format was built upon mobi and offers better compression and encryption. If you want the eBook on your Kindle, you need to convert it to mobi or azw first. 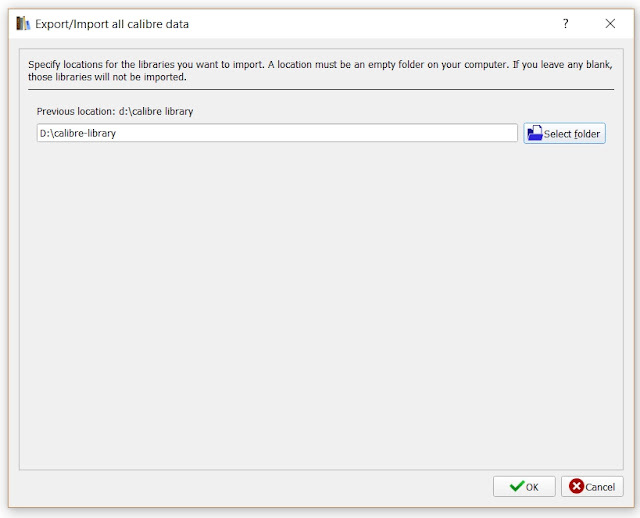 When you opened calibre for the very first time, you went through the configuration wizard. During this process, you already told calibre what device you use. 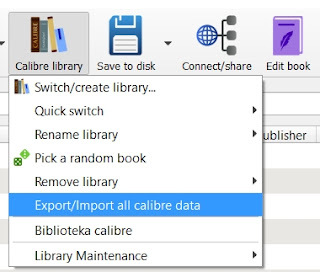 Because of that calibre already chose the best file formats to convert to and you don’t even have to convert your eBooks by yourself, just send them and calibre will do the rest. Okay, you prepared your eBook. Now, what? How to transfer them to your Kindle and start reading? Let’s dive in. To send the eBook to your Kindle, just right-click on it and select “Send to device > Send to main memory”. Note, you should still be keeping your Kindle plugged in via USB. Your eBook will be on your Kindle in seconds. 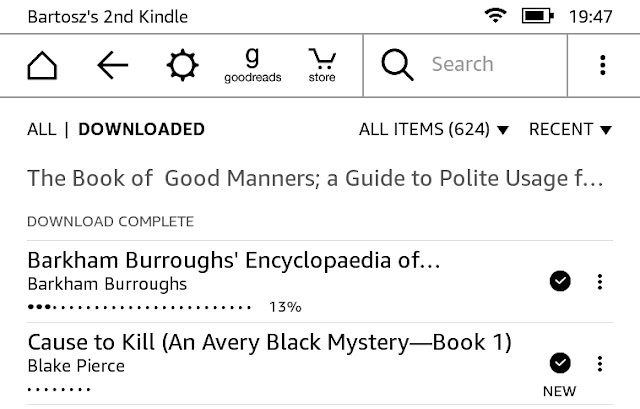 If you prefer to send your files with email, right-click on the eBook and select “Connect/share > Email to …@kindle.com”. 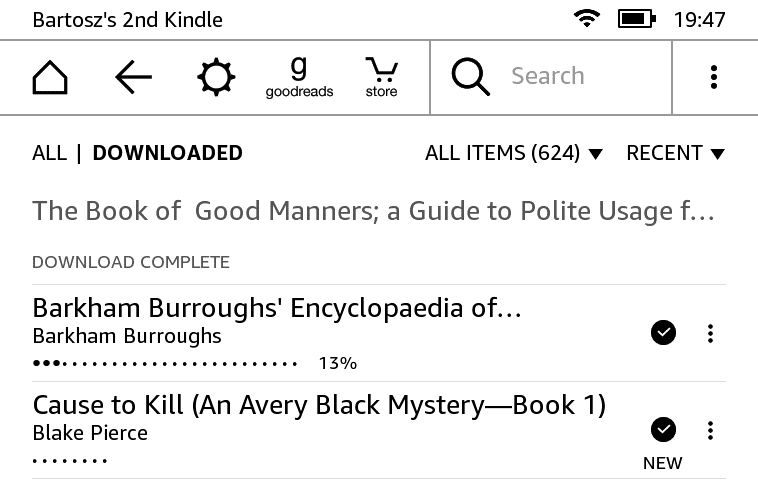 The “…@kindle.com” bit should be your Kindle email you set up on Amazon. Go to “Manage Your Content and Devices” and choose the “Your Devices” tab. Then, click “Edit” by the mail listing. 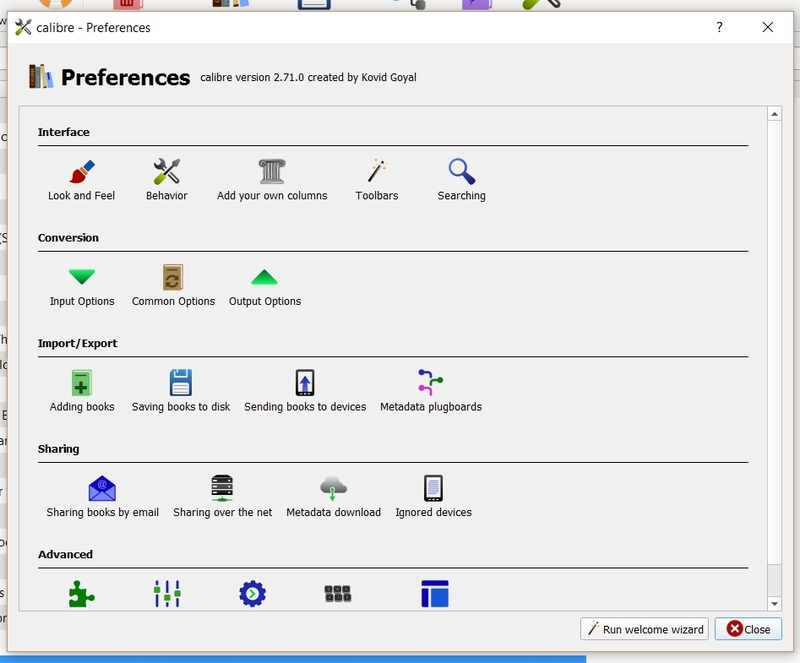 First, click “Preferences” in the main window. 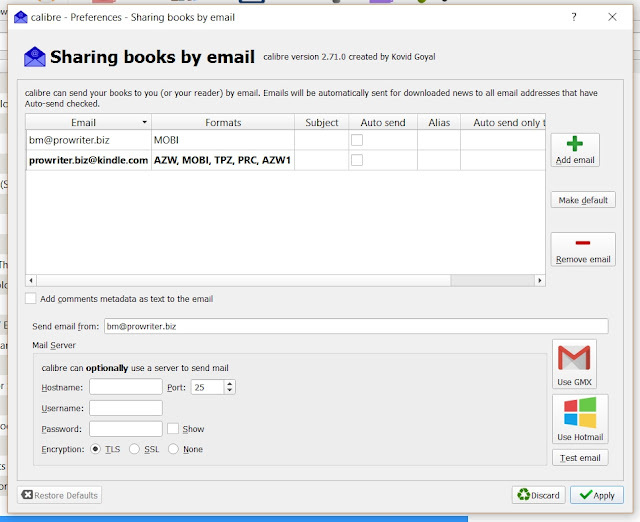 Then, select “Sharing books by email” in the “Sharing” section. Finally, you can add new emails by pressing the “Add email” button and remove old ones by pressing the “Remove email” button. The e-mail displayed in the menu in “Connect/share” is whichever address you made default. To make an address default, press the “Make default” button. If you don’t get the eBooks you sent with email on your Kindle shortly, consider using an email relay like GMX. Remember that when you transfer your eBooks with email, Amazon will have access to them and will convert your files once again. Transferring via USB ensures that no one has access to your files but you. It also gives you more control over the content. 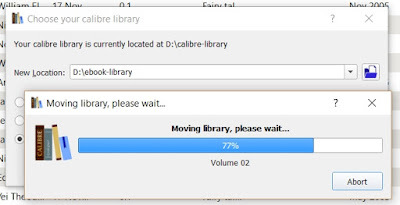 That’s all you need to know to start managing your Kindle library with calibre. This program, however, has a lot of other options. To explore them, browse through the User Manual or other posts on this blog. Broken passwords, leaked photos, stolen credit card numbers. Have you been affected by at least one of these crimes? I bet you did, even if you didn’t realize that. You and I both give out our private information like it’s candy. And then we must trust this data stays safe. But – as you probably heard – it doesn’t. Just this year we learned that personal information of 1 billion users of Yahoo!, 165 million users of LinkedIn and 68 million users of Dropbox were compromised. And just two years ago, we’ve seen an enormous leak of Sony Pictures correspondence and files. Personal data is stolen by hackers in large numbers. As we stay online, day and night, we also encounter bad and malicious websites and software. Programs that can steal directly from our devices. It’s not unusual that you wonder if calibre is safe. 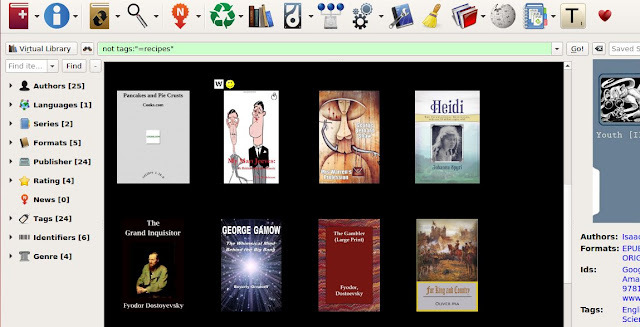 Calibre is one of the most popular eBook library managers. It’s used on more than 3 million devices and is widely recommended online. Most avid eReader users have heard the name “calibre”. It’s free, it’s powerful and it’s easy to use. But what makes calibre safe? Let’s break it down. First of all, calibre is open-source. It means that its source code is publicly available to inspect, change and distribute. 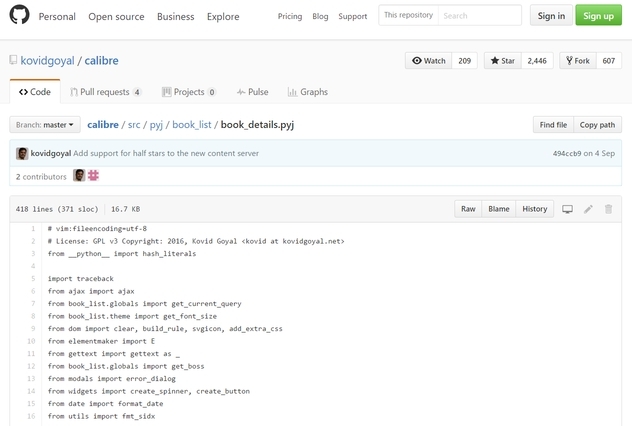 You can see it for yourself on the most popular source code repository, GitHub. It might sound dangerous, but it’s not. And here’s why: every change made to calibre is checked and approved by the community of its developers. And calibre’s creator, Kovid Goyal, keeps a close watch. All calibre’s developers hang out at an open forum and you can see for yourself what they’re up to. Because the work is so transparent, everyone who spots a problem can report it to others. Commercial software usually doesn’t allow people who don’t work for them to see the insides of their product. Fewer eyes mean fewer chances to catch a bug and fix it. 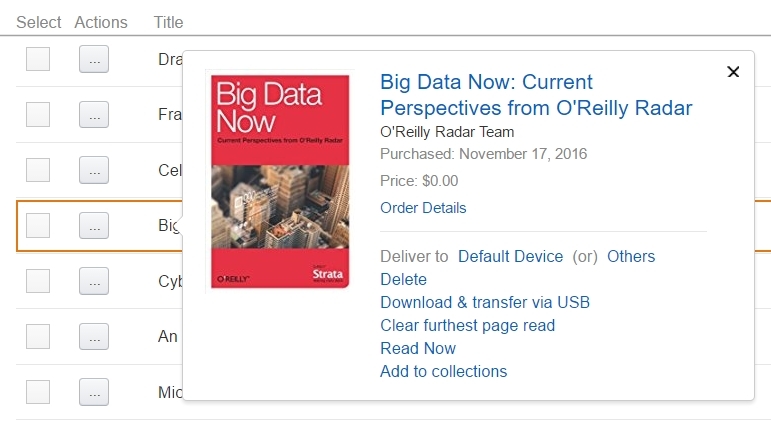 Because everyone can change calibre, it’s important to download it from its homepage. That way you can be sure it’s unchanged and safe. You can also double-check the files using checksums: they’ll tell you if the file was changed by anyone. Personally identifiable information about your collection, devices and usage are not collected or shared with anyone. The only data calibre will send outside your device without asking is anonymous: your IP address (just to find out in which country you use calibre), the program’s version and your operating system. If you use the news fetching feature, the only information left on calibre’s server about that is that someone downloaded news from a particular source. This allows the developers to make calibre better suited to your needs and be sure the program runs smoothly for everyone. 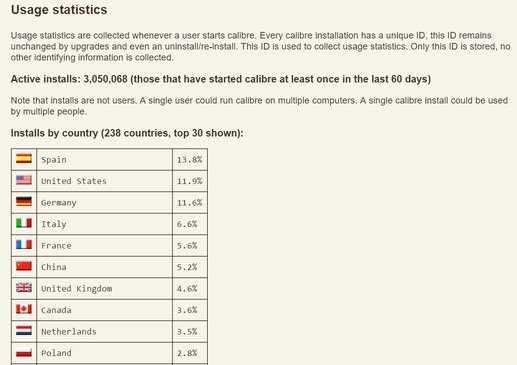 Compiled stats are available publicly on calibre’s homepage and no individual user’s statistics are kept. 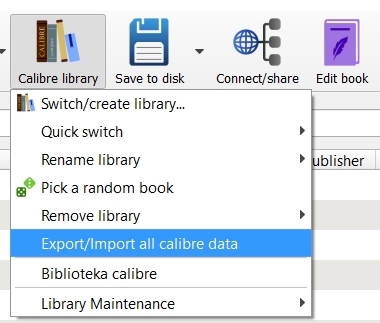 When you first connect your device to calibre, the program will scan its contents: it will check all the books and save their metadata in a file on that device. 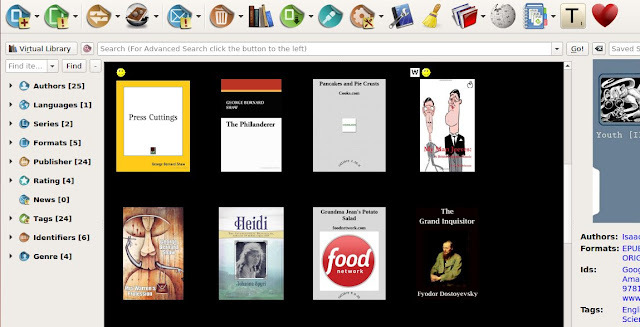 Thanks to this, you will be able to quickly check if your eBooks are already on this device or vice versa. 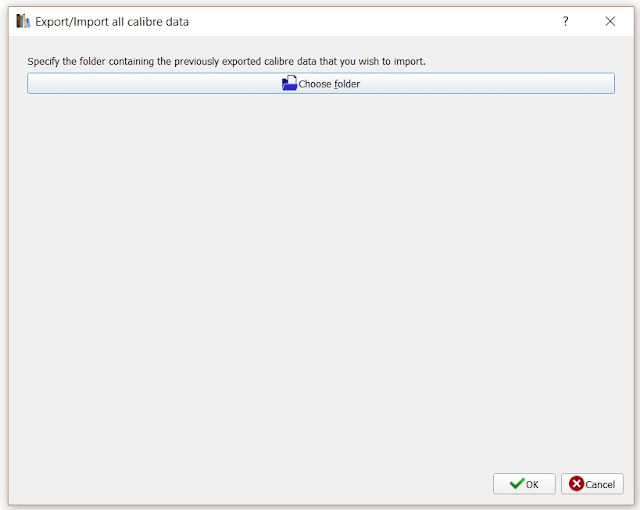 The way calibre manages your devices can be changed in the program’s preferences. If you want to send eBooks to your device without connecting it with a cable, you can email them. 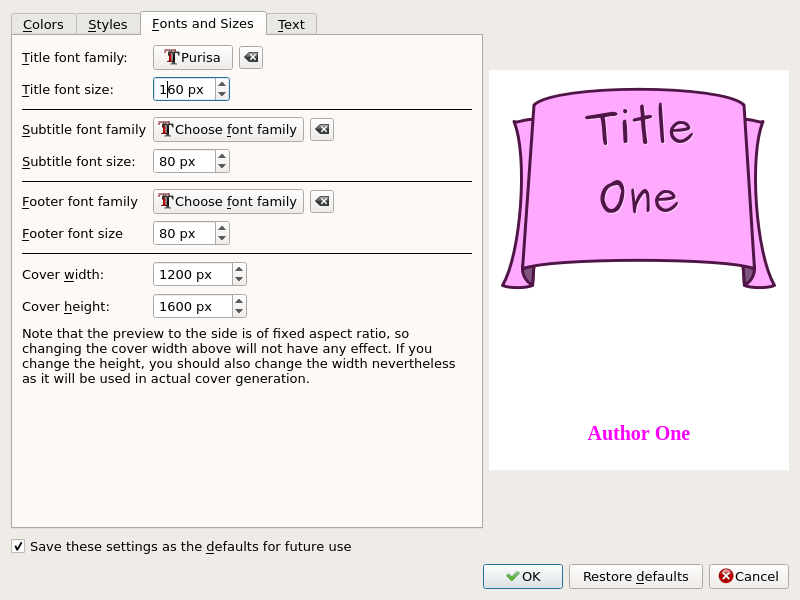 Using calibre you can also email eBooks to anyone else. There are two mechanisms you can use: direct mail (default) and send via a provider. 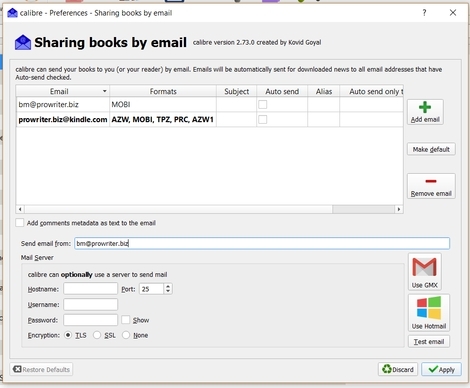 Direct email sends the messages without intermediaries, using your just your computer to connect to the recipient’s host. Because this method can also be used to send fabricated emails, many email providers do not accept emails sent in this fashion. The second method makes calibre act as an e-mail manager in that way that it uses email login information you provide to connect to your account and send the message with the eBook attached. It can be your personal account, but you can setup a separate account, e.g. on GMX. This login data is stored securely on your device and no one else has access to it. Both TLS and SSL encryption are available. Remember, that if you send your eBooks to your device using email, you will use your device manufacturer’s cloud services and they will have access to the content you sent. 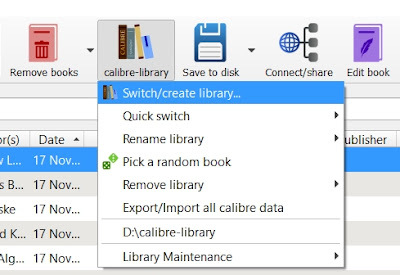 Another way to share your library is to enable calibre Content Server. That way, based on your internet provider and hardware, you can set up a public or a local site that will enable guests to download eBooks straight from your computer. Calibre supports protecting this content with a username and a password you set up and makes all logs accessible only to you, so you can check who accessed what and when. 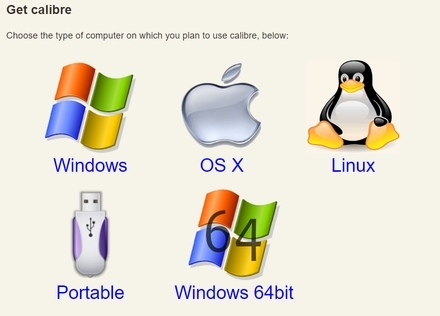 Since its creation in 2006, calibre has received numerous positive reviews from experts and users alike. 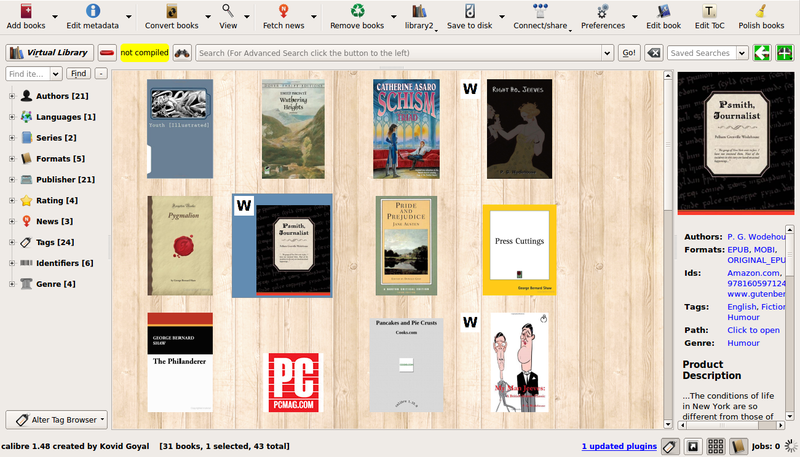 MakeUseOf.com called calibre “the best eBook manager available”, PC Advisor said that calibre “belongs on every serious e-bookshelf”, while Download.com said it’s “an all-in-one solution for handling your eBooks”. Source Forge users gave calibre 4.7/5.0 rating. It has been featured in the New York Times, the Kindle Chronicles, Wired and many more. 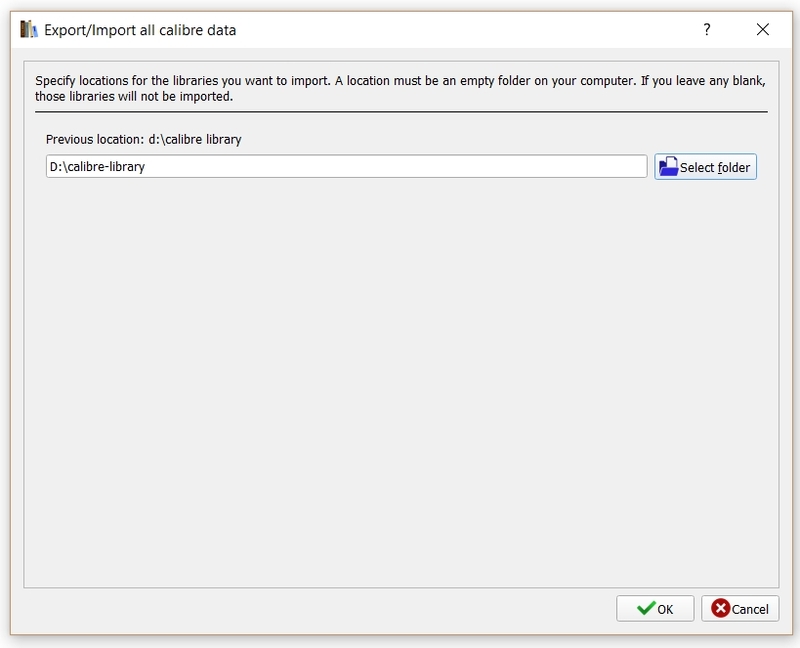 Calibre also has many options and features you can use to manage your privacy and safety of your data. You just need to dive in to the “Preferences” tab. So – don’t worry, calibre is safe. It is used by millions. It doesn’t collect your personal data. And dozens of developers strive fix any issues and harden its security. The only thing you need to remember is to download it from its official website. Over the years we have had some complaints about calibre's appearance. We have had just as many appreciative emails from people loving the look. While some people find large clear icons easy to use, other feel it makes the interface clunky. The problem with choosing a particular look is that you can never make all of the people happy. We have also had people contribute icon designs over the years. But a change always leaves some people unhappy while making others happy. 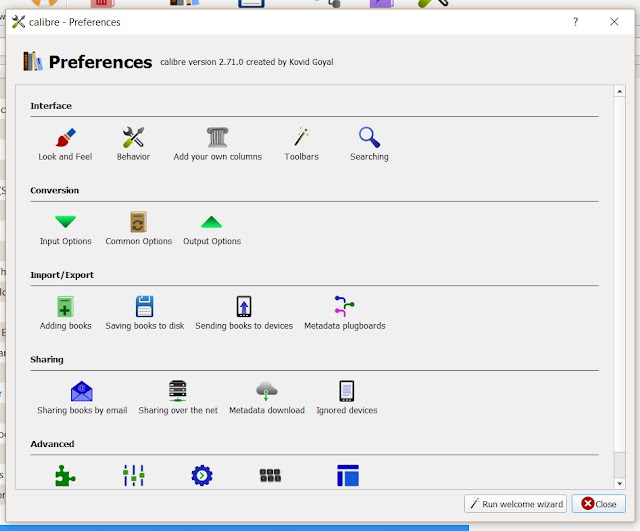 The way we like to do it in calibre is to give as many options and as much power as possible to the user. So calibre now (since version 2.36) has multiple icon themes. You choose the icon theme that you like best and you don't have to compromise with other users. 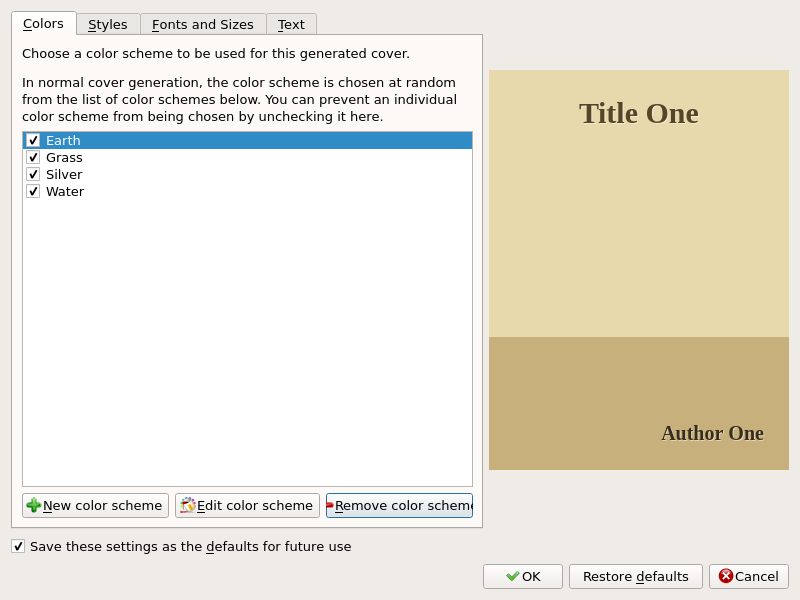 Then click the second entry on the right 'Change icon theme'. And that is not the end of it. 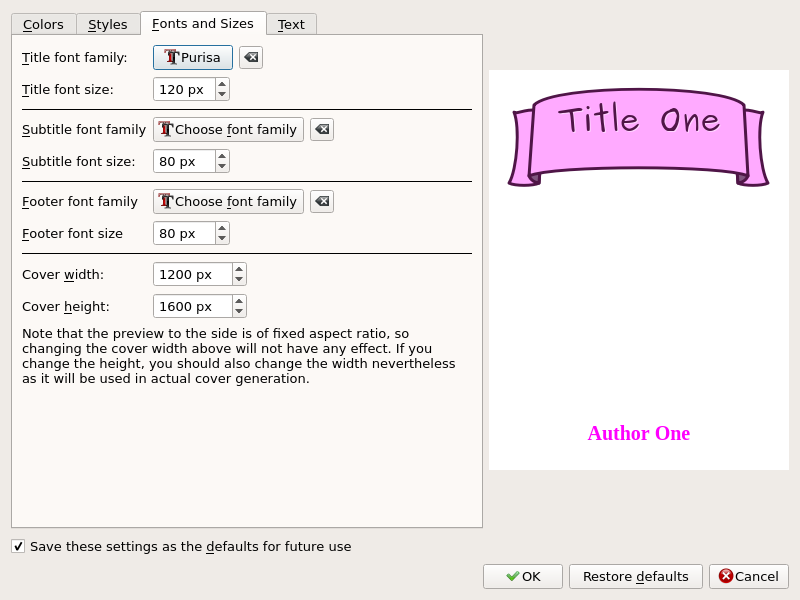 If you don't like any of the options and have some talent at creating icons you can create your own icon theme. 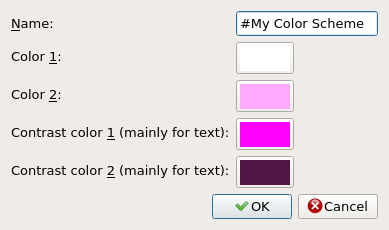 To do so, go to Preferences->Miscellaneous-> Create icon theme, select the folder where you have put your icons (usually the resources/images folder in the calibre config directory). 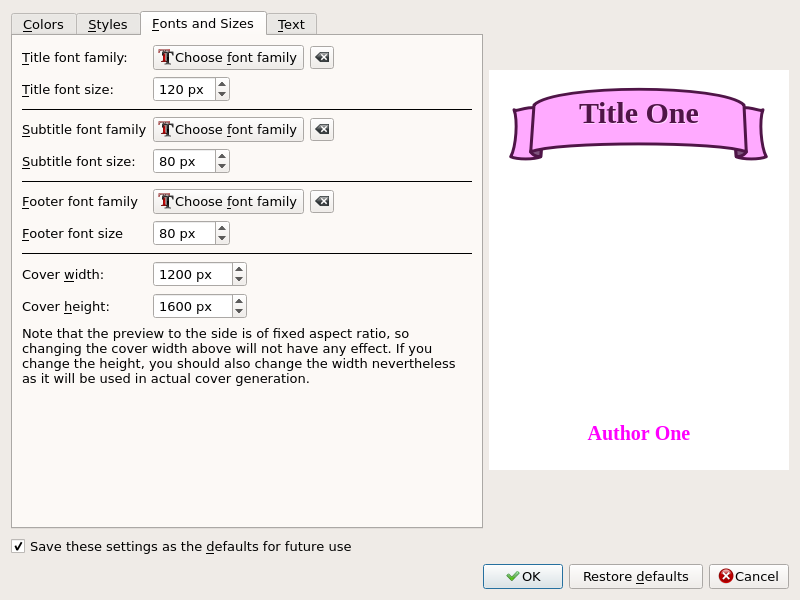 Then fill up the theme metadata and click OK. 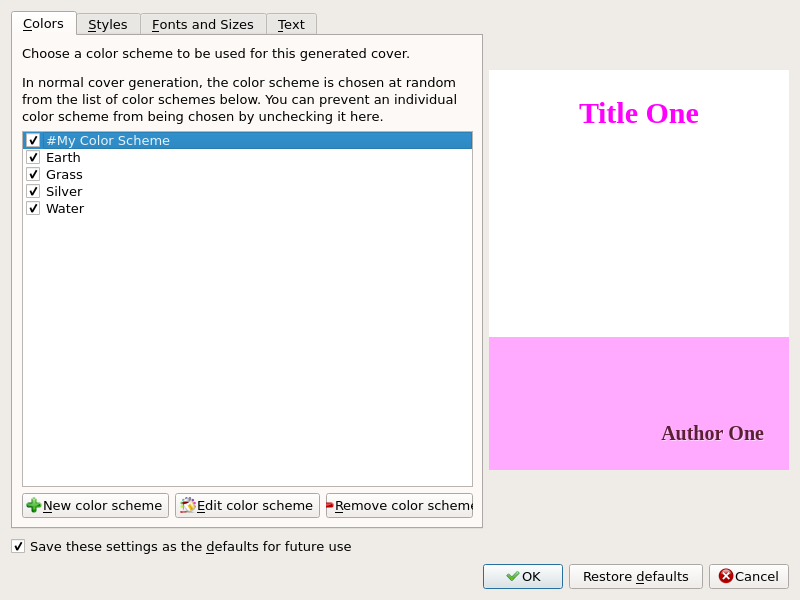 This will result in a zip file containing the theme icons. For more details click here. 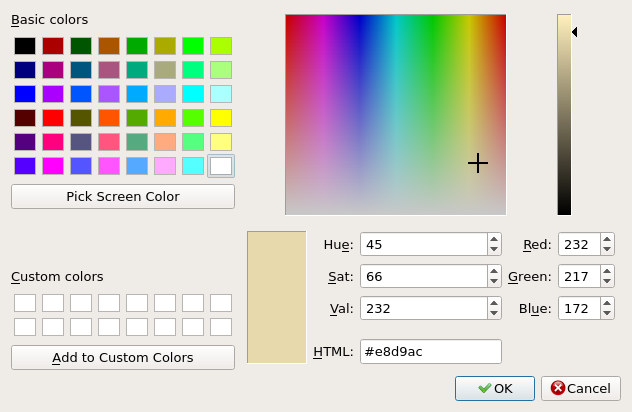 Since calibre is open source you can share your icon theme with other calibre users, if you want to. 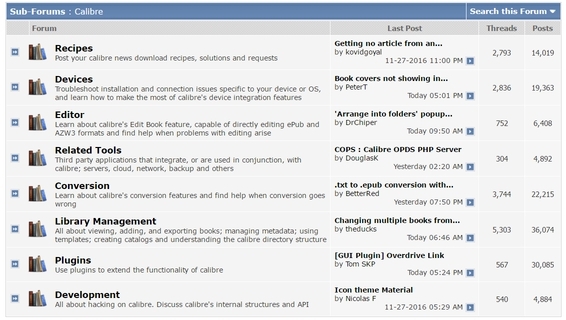 To share an icon theme you have created, upload it to the calibre forum at Mobileread and then Kovid will make your theme available via calibre’s builtin icon theme system. You will of course be credited for your contribution. For example the 'Sphere' icon theme was contributed by 'Potzblitz7' as everyone choosing that icon theme will see. Enjoy playing around with the icons and creating your own! 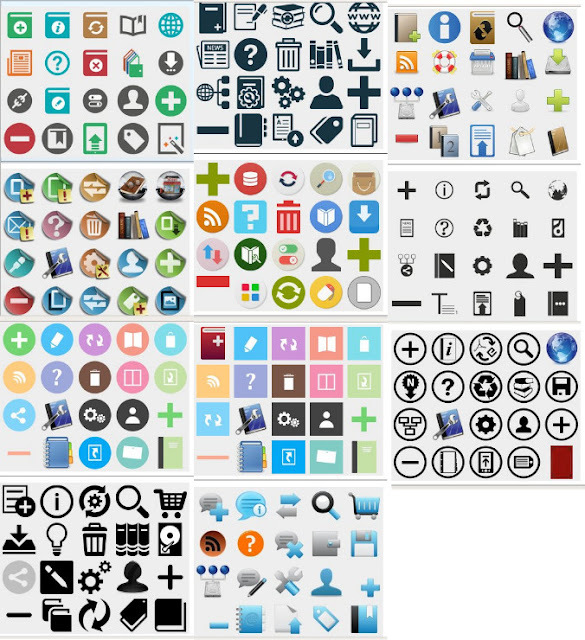 And a big thank you to all those who have contributed icon themes.